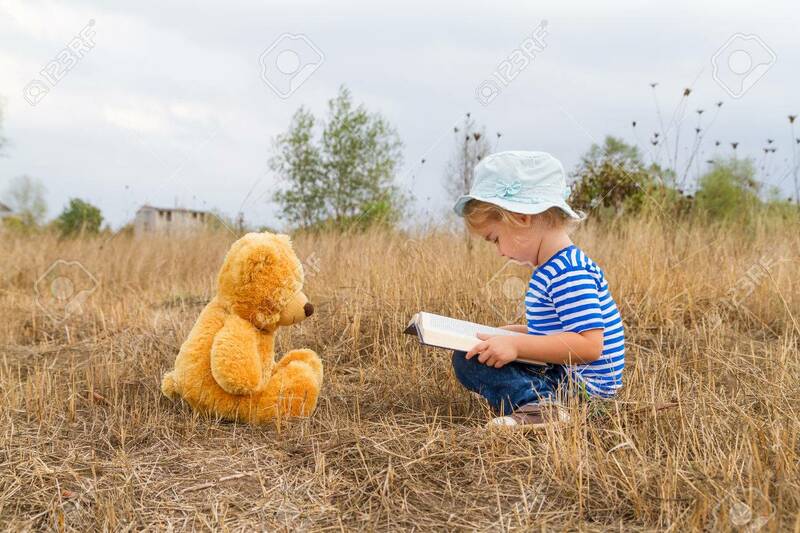 Cute Girl Reading Book Teddy Bear On The Grass. Stock Photo, Picture And Royalty Free Image. Image 46976246.